A financial strength ratio that measures proportion of company's Total Liabilities to Stockholder's Equity less Goodwill and Intangible Assets. 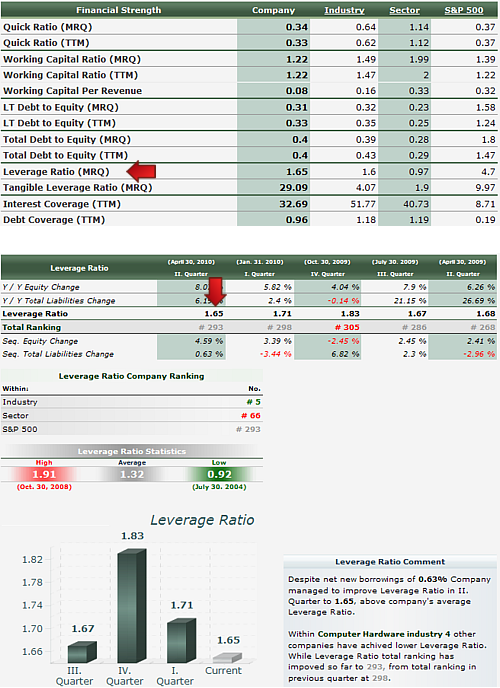 Tangible Leverage Ratio displays company's indebtedness and the leverage of Stockholder's Equity less Goodwill and Intangible Assets. The number indicates how much company owes of Total Liabilities for one dollar of Stockholder's Equity less Goodwill and Intangible Assets. The lower the number, the stronger the balance sheet of the company.